Located on a private quay on the Victoria & Alfred Waterfront, Cape Grace has one of the most sought-after addresses in Cape Town. It has sweeping vistas of the working harbor, Table Mountain, and Signal Hill. Despite the hotel’s exclusive location, it’s what’s inside the hotel that sets it apart. This charming, nautical-themed property has earned a reputation for the best service in the city. 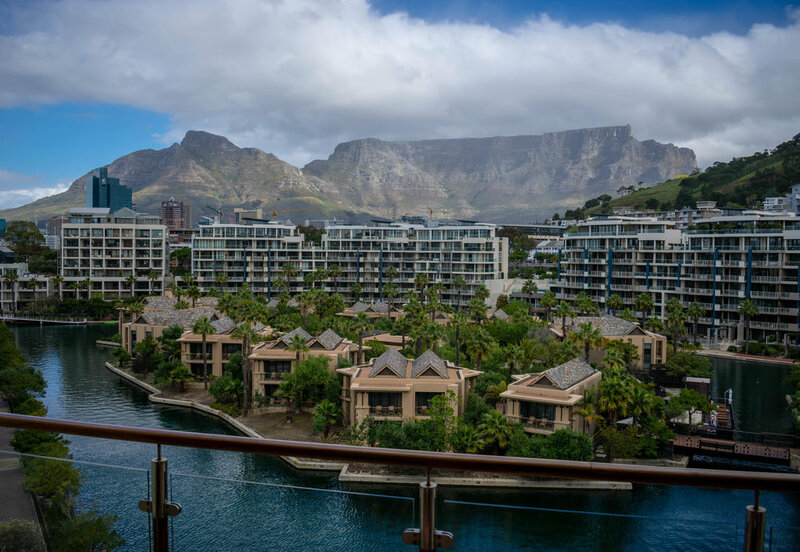 The impeccably-trained staff members have exceptional attention to detail, and they assist in connecting guests to the living history of Cape Town. Each room has its own nuances and character; tasteful touches of rare antiques and artifacts evoke a sense of curiosity. Pro Tip - Nestled in the bottom floor of the hotel, Bascule Bar provides intimate tastings of some of the rarest whiskeys in the world. This sprawling resort is a top choice for families or couples who don’t want to venture too far from the hotel grounds. With a lush spa island and highly acclaimed restaurants, like Nobu and Reuben’s, onsite, there’s really no need to leave after your explorations are done for the day. Begin and end each day in absolute luxury in one of the largest rooms offered in Cape Town. Pro Tip - Though there’s hundreds of guests to cater to, the staff exceeds customer service expectations by utilizing technology. Guests may take advantage of the “Handy” app which connects them directly to a resort staff member. Another glass of Pinotage or a sumptuous bubble bath is just a few clicks away. A former grain silo has been transformed into Cape Town’s hottest cultural hub. The industrial exterior of the building starkly contrasts with the lavish interior, but it works. Hotelier Liz Biden’s penchant for the unconventional is demonstrated by her bold color combinations and handpicked geometric designs. The 28 eclectic rooms and whimsical main café are a natural extension of the museum located six floors below, the Zeitz MOCAA, which showcases the largest collection of contemporary African art. Pro Tip – The rooftop is the cherry on top. 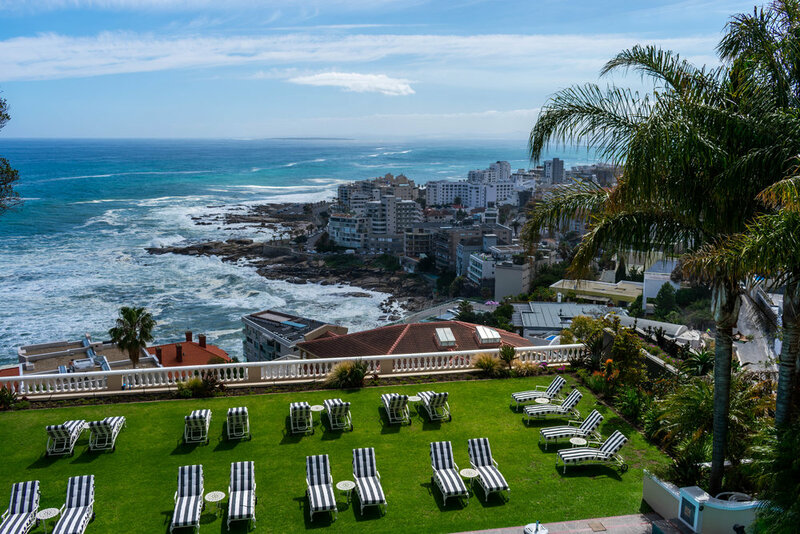 What’s better than an aqua infinity pool, plush loungers, drinks & nibbles, and an unrivaled view of Cape Town? 120 years ago, the Belmond Mount Nelson opened its doors to travelers and to this day, it remains an iconic city landmark. With its bubblegum pink exterior and old-fashioned grandeur, it’s easy to stand out. Plus, guests have the opportunity to walk the same halls of notable visitors from the past such as Queen Elizabeth II, Nelson Mandela, and John Lennon. 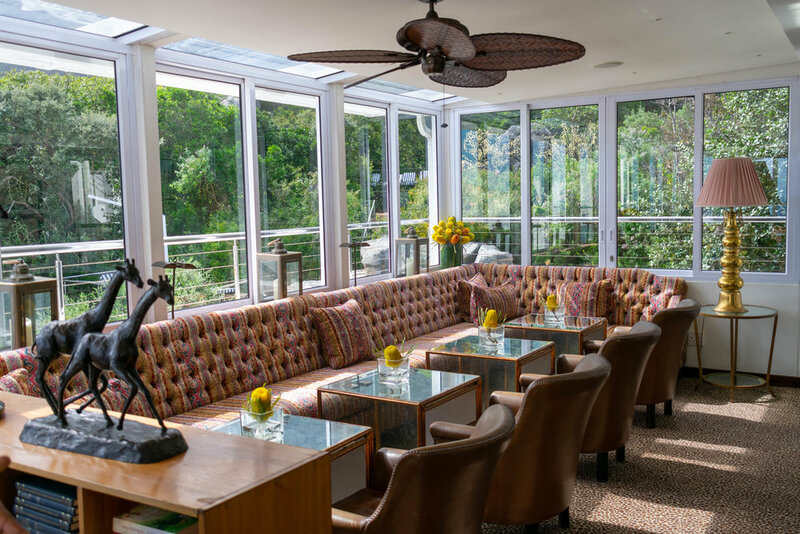 Beyond the manicured lawns and palm tree lined private driveway lies the vibey Kloof Street, with its edgy millennials, alfresco restaurants, and experiential art galleries. Pro Tip – Request a Deluxe Junior Suite on the top floor of the main building. Relax on your private balcony while watching the sun melt into the imposing mountain range. 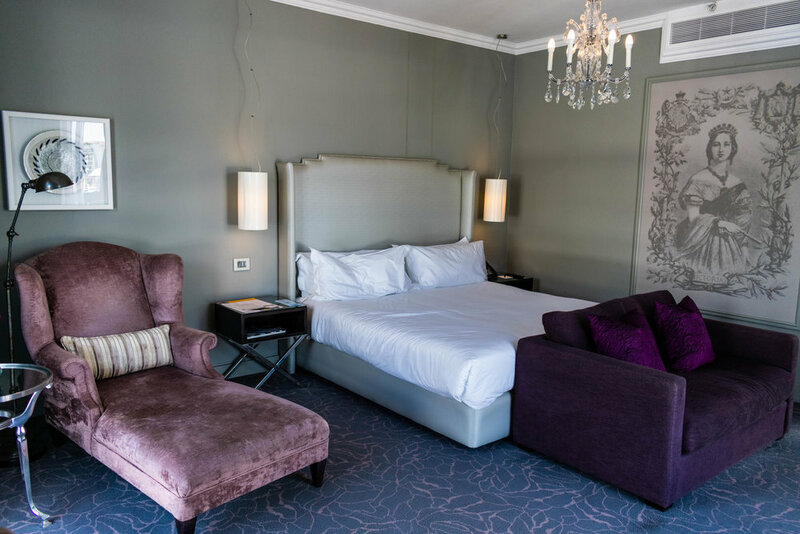 This chic boutique hotel is a hideaway fit for royalty, just steps from the bustling Victoria & Alfred Waterfront. Touches of purple (the royal shade), hand painted portraits of Queen Victoria, and crystal chandeliers create an elegant ambiance. To further add to the regal atmosphere, the lovely scent of just-picked proteas and Charlotte Rhys permeates the three-story lobby. In the evenings, a soulful pianist sets the mood in the sophisticated restaurant lounge onsite, Dash. 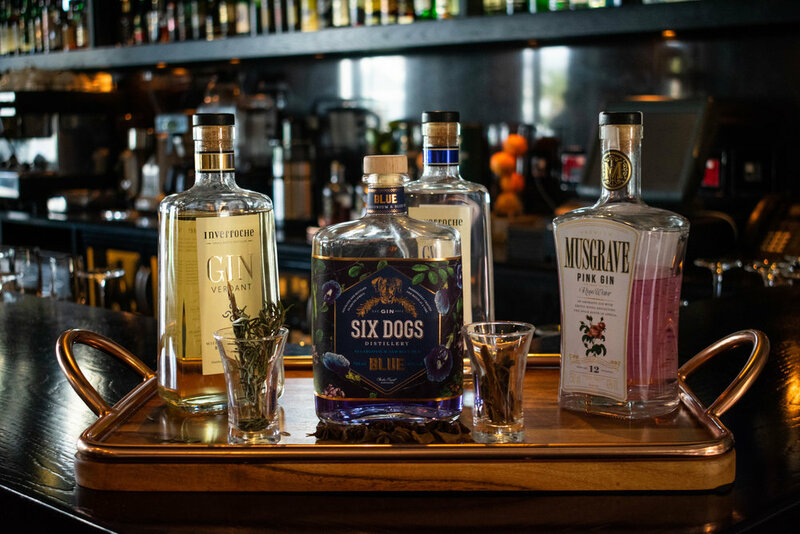 Pro Tip - Grab a gin & tonic at the lobby bar and request the Six Dogs Blue gin. When mixed with tonic water, the gin’s cobalt blue color magically turns pink.